The ProPlus™ Vertical Lifeline is designed for static vertical applications. The ProPlus™ Vertical Lifeline is used with the ProPlus™ Stainless Steel Fiber Rope Grab (Model 502207). 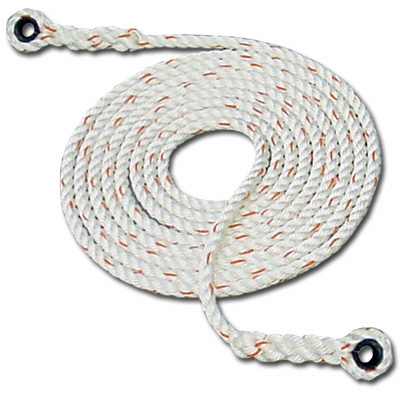 Rope: 5/8" three strand poly-blend synthetic with spliced thimble eyes on both ends.